Finally LG Mobile has launched the LG Apps Store for LG Mobile Phones. This site is only recently launched (probably 14th July 2009), as it supports on the LG KS20 and LG GM730 JOY, both Windows Mobile-powered smart phones. From now till Oct 14th, users can enjoy 25% OFF applications. Registration is free. 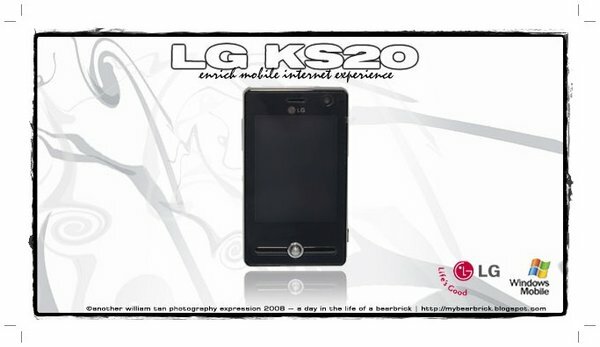 I am a supporter of LG Mobile and currently a user of LG KS20 and a pre-launch version of LG GC900 Viewty Smart. Sadly, LG Apps Store has only published support for KS20 and GM730 JOY. GC900 Viewty Smart being an S-CLASS mobile phone and not Windows Mobile-powered, means that there are still no apps available. Nevertheless, my KS20 is supported! Feeling Patriotic on National Day? Relive the good o' days where we sing these local favourites in our primary schools. Singing them now makes the hair stand on the back of my neck, but fills my heart with joy! Thanks to National Arts Council Singapore for preserving these evergreen favourites! Last but not least, our talented local song writers and composers who made this songs possible! 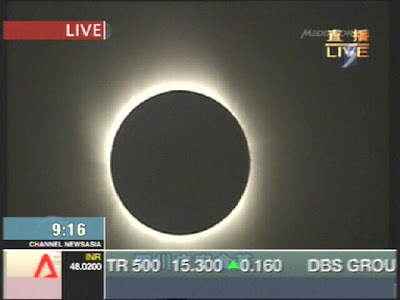 India to get the full solar eclipse or "Totality". 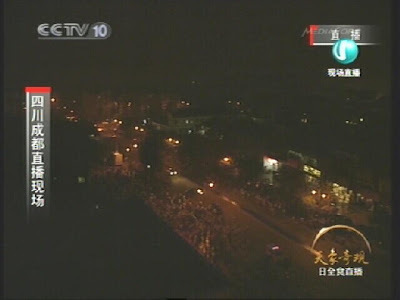 Temperature drops 1 degree celsius with complete darkness. 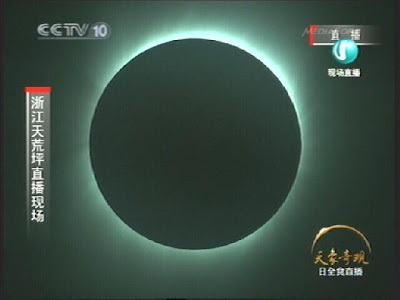 China gets its full solar eclipse. Temperature declines and strong winds blows as the sky slowly darkens. 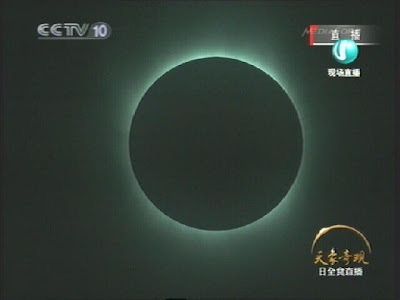 The full eclipse in Wu-Han, China. 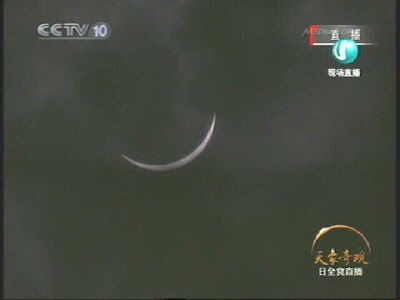 Wu-Han after the eclipse when the sun emerges. 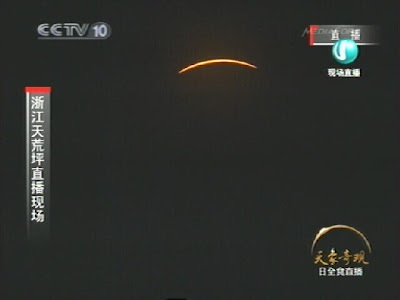 The sun emerges from the eclipse at Wu-Han. 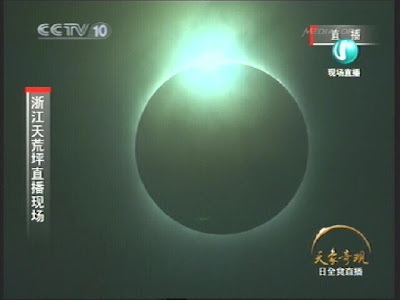 The solar eclipse forming at Zhe-Jiang, China. In the progress, a "Diamond Ring" forms and then "Totality" or some call it "The Pearl". 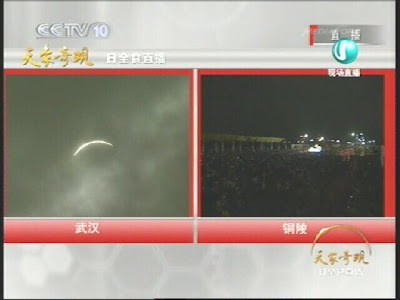 "Totality" last no more than a mere minute or two before returning into the "Diamond Ring" over Zhe-Jiang, China. 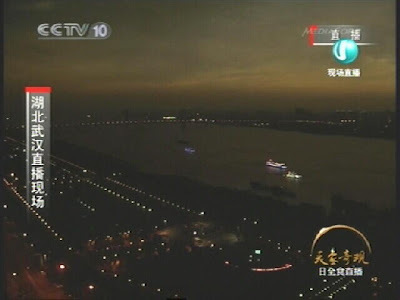 The sun rises once again over Zhe-Jiang, China. 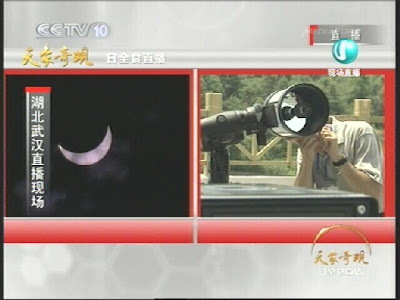 Thanks to the technical team in China who took 2 years to prepare for the capturing of the solar eclipse. 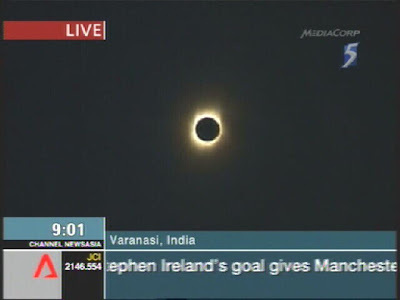 It takes another 25 years from now for the next eclipse.